Kim started her showbiz journey when she joined Eat Bulaga’s “Little Miss Philippines”. Since then, she has joined several other talent reality competitions and landed modeling gigs. She rose to fame with her viral videos on YouTube, lip-syncing “Twerk It Like Miley” and dancing to the “Trumpets” challenge, which got almost two million views. 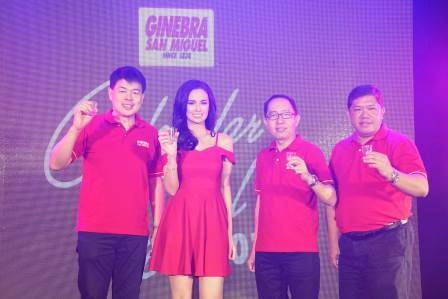 For more details, like the Ginebra San Miguel official Facebook page www.facebook.com/BarangayGinebra or log on to www.ginebrasanmiguel.com.